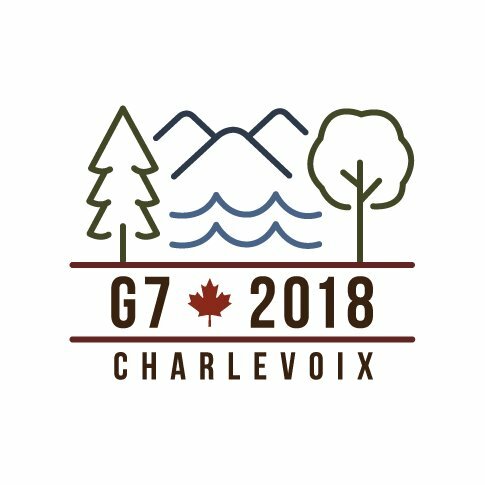 The G7 met today in Quebec; on Tuesday Mr. Trump meets with the North Korean leader; a month from now, the NATO summit will be held in Brussels. Lots of frequent flyer miles and hotel rewards points for members of the Trump Administration. But significant changes could also result from all three. The following are thoughts on each of the summits. It’s only a month until the next NATO summit in Brussels. President Trump will be there along with Canadian and European leaders. Mr. Trump has fired the first shots in a trade war with American allies. It’s going to be a big test for the alliance, which turns 70 next year. Many Americans feel that the US has not had a fair deal on trade. They also feel that European countries have sponged off America by letting the US pick up the tab for the defense of Europe. What is often not appreciated is that it is the alliances with 53 countries around the globe that makes the US the world’s number one superpower. If all the countries the US is allied to suddenly ended their alliance, the United States would be greatly diminished as a global power. The escalating trade war could easily take the world in this direction. It’s also forgotten that NATO members came to America’s aid after 9-11, the only time Clause IV of the NATO treaty has been invoked. The US needs Europe just as much as Europe needs America. If Mr. Trump goes to NATO headquarters lecturing the Europeans, the alliance could suffer irreparable damage. It’s true that not every European country contributes the required 2% of GNP to defense costs. It is also true that some countries have huge trade imbalances with the US. These need to be dealt with, but for the US to remain the #1 superpower at the head of alliances with 53 nations, disputes need to be handled carefully. While the US is focused on Tuesday’s summit between President Trump and the North Korean leader, both the NATO summit and today’s G7 summit in Quebec, are of potentially greater significance. For 44 years, this annual meeting of the seven most powerful democracies in the world, has helped keep the planet on an even keel. Clearly, President Trump doesn’t have much time for the group, both literally (he’s leaving early) and figuratively. The US leader will not be present for the discussion on trade. The US has made it clear it wants Russia back in the group, though its economy does not warrant it and it’s hardly a democracy; also, it’s still occupying parts of the Ukraine, the reason it was thrown out of the G8 a few years ago. Coming up, in a month, is the NATO summit in Brussels. The trade dispute could affect the future of the 70-year-old alliance, which has arguably kept the peace for the western world since 1949. If NATO should fall apart, a major realignment of nations will take place. The end result could see the United States greatly diminished as a global power. One month before the NATO summit, there’s another summit in Singapore, between the US and North Korea. North Korea is not a major player on the world stage. It’s economy is infinitesimally small. The only reason to take any notice of the country is that it may have nuclear weapons. A secondary reason is that the US has 28,000 troops based in South Korea. An end to hostilities with the North could free up most of these troops to return home or be sent elsewhere. The whole scenario reminds me of an old Peter Sellers movie, “The Mouse that roared,” The movie is 60 years old, but well worth watching it if you get the opportunity. It tells the fictional story of the fictional Duchy of Grand Fenwick. The “country” is broke, but the prime minister comes up with a solution to their financial problems. Declare war on the United States! Every country that has done so in recent times ends up receiving a great deal of US financial aid and private investment, solving all its financial problems. Things did not go according to plan. Grand Fenwick’s soldiers captured a nuclear device, forcing the US to surrender to avoid its own destruction. I wonder if the North Korean dictator saw the movie recently on TCM? “BRITAIN may have saved Europe from herself in two world wars in the 20th century but today Brussels politicians effectively said the UK had no place in the future defense of the continent and prepared to KICK OUT key military staff. EU chiefs have told UK military staff that they will not have their secondments to Brussels automatically renewed after Brexit – effectively sticking two fingers up to British overtures towards a common and collaborative military and defense solution for Europe.” So began an article in today’s British Daily Express. With Britain leaving the European Union a few months from now, it’s becoming clear that other countries in the 27- member Union do not want Britain involved in European defense. The British had hoped that defense ties would continue, and that the UK would play an important role in the new European Defense Force. We can see clearly the possibility that the two main Anglo-Saxon powers (the US and the UK) could soon be separated from the rest of the western world. It’s also the case that, right now, they are not getting along very well with each other. Mrs. May is dismayed that President Trump withdrew from the Iran nuclear deal; and also at Trump’s tariff’s on the Europeans. It’s also the case that the separation of the Anglo-Saxon nations fits very well into prophesied end-time events. Germany is outraged. Only hours after right-wing media outlet Breitbart released an interview with the new US ambassador to Germany, Richard Grenell, some are calling for his expulsion. In it, the Donald Trump appointee expressed his desire to empower conservative, anti-establishment movements in Europe. Many of his talking points would have roused applause from the far-right Alternative for Germany (AfD) party: the passages referencing a silent majority, the welfare of the average worker, as well as those criticizing Germany’s current refugee policies and describing an out of touch political elite. It isn’t the first time that Grenell has so explicitly waded into internal German affairs. Shortly following his appointment, he demanded that German businesses halt trade with Tehran in reaction to the trans-Atlantic dispute over the Iran nuclear deal.
. . . Grenell, like his boss, is exploiting fears to advance his agenda. He is putting pressure on the weaknesses of the European system to advance a new order — one that weakens European unity primarily to benefit the United States. It is unheard of that an ambassador would so explicitly interfere with the internal affairs of his host country . . . Does Islam’s canon foment jihadi violence? Yes. Islam is premised on (1) the superiority of Islam, (2) the need to spread its message, and (3) the legitimacy of force to do so. These fundamentals of faith have been apparent from Muhammad’s time to the present, though not everywhere and not at all times. The following comment was posted on my blog after the recent royal wedding. My response: In 1936 King Edward VIII chose to give up the throne so that he could marry an American divorcee. He could not marry her and remain as King. Over eighty years later, Prince Harry was allowed to marry Meghan Markle. The reason for the different decision is that the Church of England, of which the Queen is titular head, changed its position on divorce 15 years ago. The change also enabled Prince Charles to marry Camilla Parker-Bowles, who was a divorcee. The position of the Church of England is not dissimilar to the CoGs’ – basically, you can repent of (almost) anything, including a bad marriage. Reptile reportedly leapt from the water and grabbed Pastor Docho Eshete as he moved on to the second person in a mass baptism of 80 followers. “He baptized the first person and he passed on to another one,” local resident Ketema Kairo told the BBC. It is likely that the reptile that killed Pastor Docho was a Nile crocodile. Some Nile crocodiles can grow to be up to six meters (20ft) long while weighing as much as 1,000kg (1 ton), and some estimates suggest the species is responsible for more than 300 attacks on humans in Africa every year. Please note: Recently, a comment posted on my blog questioned the president’s mental state, by using a derogatory and offensive term.